It's time to kick off a new Craft Stamper Take It Make It challenge! Our 'Take A Technique' theme for April is 'Spring Flowers'. 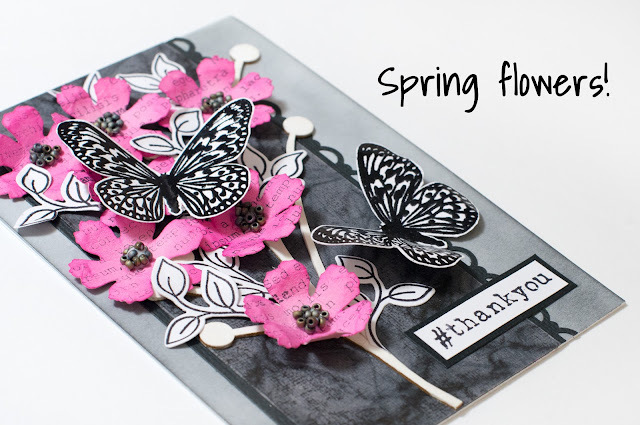 Those flowers can be of any kind: stamped, die-cut, punched, ready-made, hand-drawn... When playing along our challenge please remember that in addition to the flowers you need to use stamping somewhere on your project. Easy, isn't it! Our generous sponsor this month is Traplet, the publisher behind the best stamping and mixed media magazine Craft Stamper (. 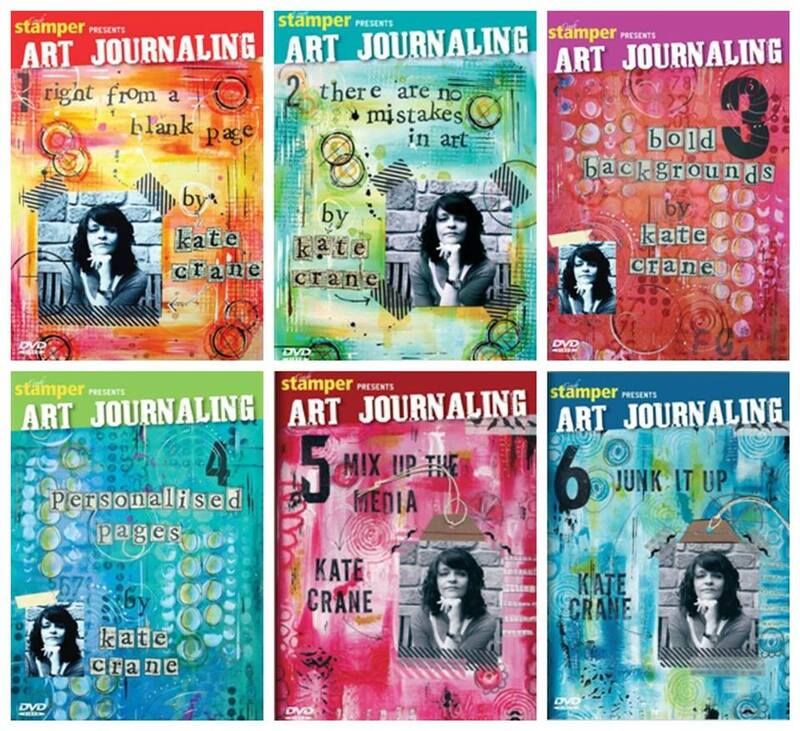 One lucky winner will get an amazing prize: ALL SIX Kate Crane Art Journalling DVDs! Amazing! This card was made for a dear colleague of mine who is now heading towards new challenges. However, even if we will no longer be working together the friendship stays; we both share the same passion for crafts and follow up on each other in social media. So thank you and all the best for your future! 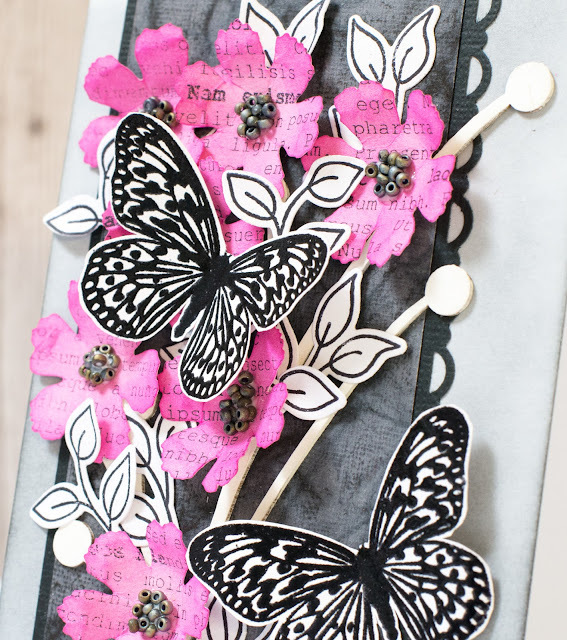 For this project I used a chipboard branch, punched flowers (using the versatile Tim Holtz/Sizzix punch), stamps from several manufacturers, and seed beads. I hope these flowers inspire you to create your own 'Spring Flowers' project and link it to our website. I will be keeping my fingers crossed that you will be the lucky winner for the prize! 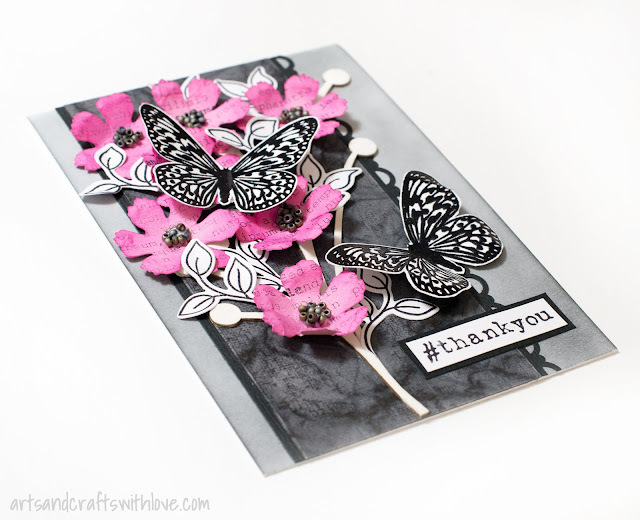 Craft Stamper is an amazing source for stamping fun and inspiration. Each magazine shows lots of creative projects, and many of them come with step by step tutorials. If you are not a subscriber and would like to buy copies of the magazine please follow this link! Sizzix April Make Off with Emeline and Deepti!